Are you looking or a vending machine? Are you looking for a vending machine which is for sale within the UK? Are you looking for a reputable and reliable UK company to sell, hire or give you a vending machine? Are you wanting a company based in the United Kingdom who won’t cost the earth when it comes to buying or hiring a vending machine? At Pure Food Systems we know how difficult it is for customers to find a knowledgeable, reliable, cost-effective company which is trustworthy when it comes to the price of vending machines they have for sale and hire. Why not take a look at our website to find out more about why to choose Pure Food Systems when it comes to choosing vending machines in the UK? 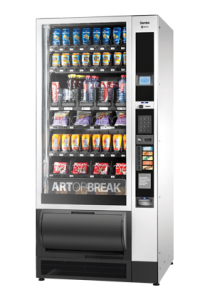 When it comes to the vending machines available on the market in the United Kingdom, there is a huge array of machines which can be tailored to many different uses, products options and locations. For instance, a more top of the market business will not be looking for a vending machine which can only take cash payments. They will be in search of a vending machine which can take cashless payment via bank cards, mobile phones and other devices.